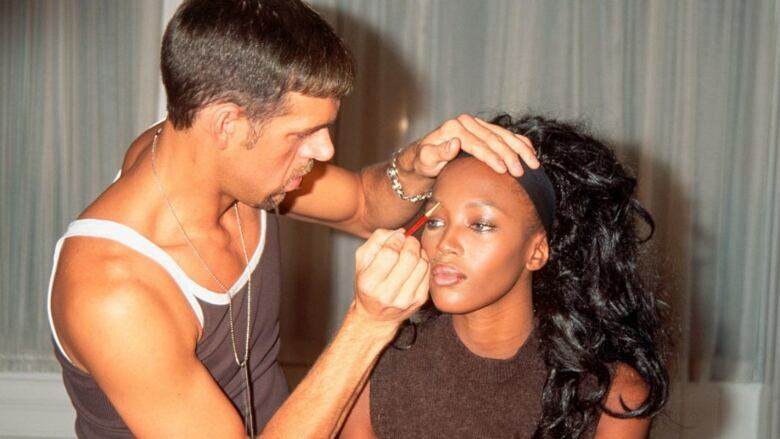 Kevyn Aucoin was perhaps the most influential makeup artist ever. Now, there's a new documentary about Aucoin's life, which sheds some light on his struggles with illness, addiction and perfection. and superstars like Cher, Madonna and Janet Jackson. He was an innovator, a rule breaker, and he did something incredibly rare for a makeup artist: he became a celebrity in his own right. But behind all that glamour, there was a lot of darkness. Aucoin was bullied and abused at his Louisiana high school for being gay, and later in his life, he struggled with illness and addiction. Aucoin died in 2002 at the age of 40 from complications related to those struggles. Now, there's a new documentary about Aucoin's life and it doesn't hold anything back. Tiffany Bartok is the director of Larger than Life: The Kevyn Aucoin Story, which is out today on iTunes and video on demand. Today, she joins guest host Ali Hassan live in the q studio to tell us why she's on a mission to tell Aucoin's life story.